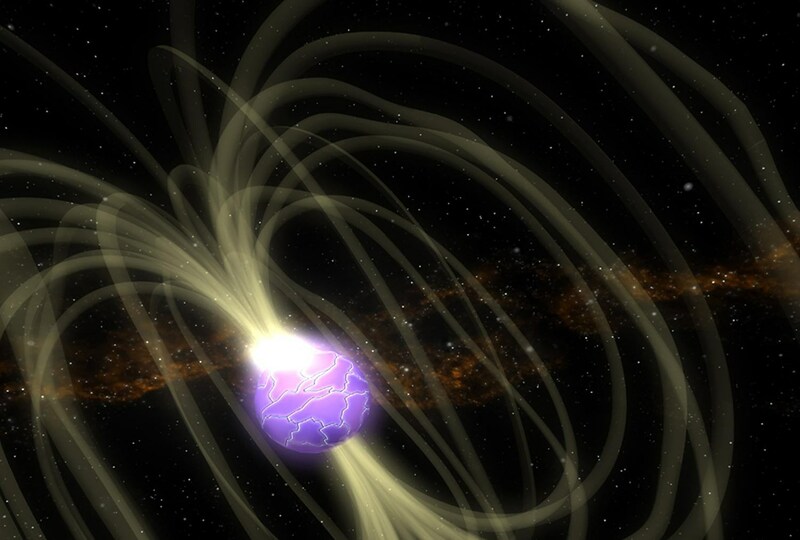 Scientists from the universities of Düsseldorf and Kiel (Germany) have developed a method to simulate gigantic magnetic fields that normally occur on neutron stars only. The physicists Hanno Kählert and Hartmut Löwen (Heinrich-Heine-University Düsseldorf) together with Michael Bonitz, Alexander Piel and coworkers (Kiel University) have published these results in the journal Physical Review Letters. In the article, they show: when small particles in complex plasmas are set into rotation they behave as if they were exposed to a huge magnetic field. Neutron stars belong to the most extreme objects in space: even though they are only 20 kilometers in diameter, they are up to three times heavier than the sun. At the same time, they have large magnetic fields up to 300 million times stronger than the earth’s magnetic field. Together with experimental colleagues in Kiel the physicists have come up with an idea how effects of such extreme conditions can be examined in laboratories on earth. They insert small particles of only a few micrometers into a complex plasma and cause them to rotate. According to theory and computer model simulations, the particles should – in this constellation - be exposed to similar forces as if they were located in a large magnetic field. It would not even be necessary to create a magnetic field at all. The fundamental idea of this analogy could now be tested in a laboratory experiment by means of a technique to generate rotating complex plasmas developed by Jan Carstensen and Franko Greiner (Kiel University). However, many efforts in developing this technique will be necessary before problems from neutron star physics can be studied in the laboratory. Caption: Conceptual image of a neutron star – crucial characteristics of such stars can now be simulated and studied on earth.